Best Family Holiday Destinations. Where to go with kids. Can’t decide where to take this year’s family vacation? 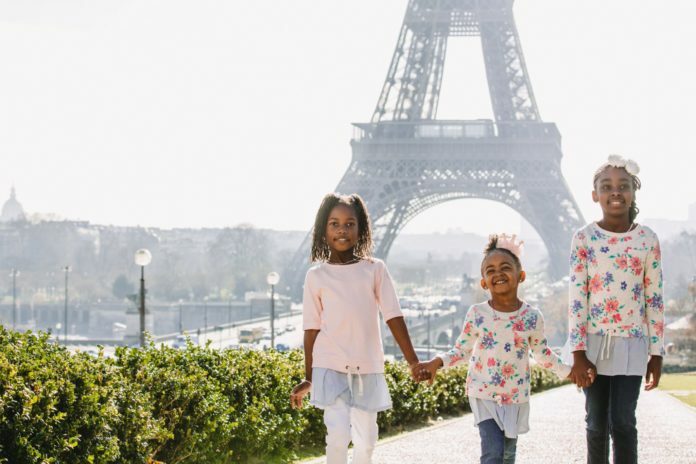 We asked seasoned family travelers one question: Where is the BEST place you’ve ever visited with kids? Scroll down to see their top tried and tested family holiday destinations (in no particular order). From big cities to big ocean waves, you’ll find something to match both your style and budget. Seoul with kids is amazing: it’s safe, there are tons of things to see and do, and the amenities for children are great! The stunning city view from Mount Namsan, the fun and busy streets of Myeong-dong, the delicious food in Insadong (our son loved Korean food! 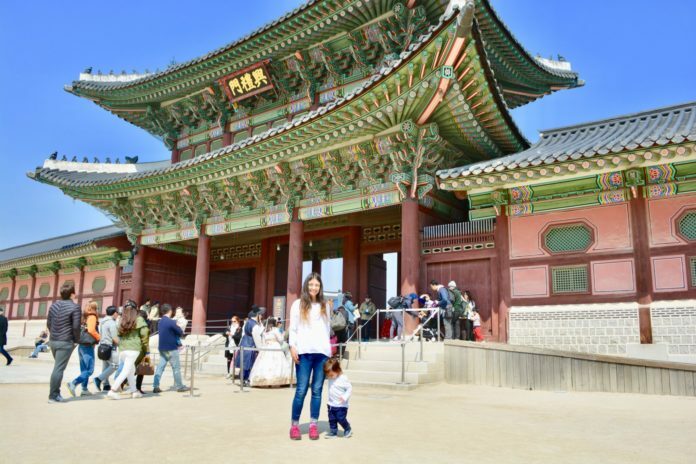 ), the beautiful Jongmyo Shrine, the traditional Hanok Villages, and the relaxing and very family friendly Seokchon Lake, are just a few of the great things you can fill up your Seoul with kids itinerary with! Several museums have special interactive displays for children, such as “The Story of King Sejong and The Story of Admiral Yi Sunshin” Exhibitions Hall, which our one and a half year old loved. There are family bathrooms everywhere that were great for pit stops, and getting around with a stroller is quite simple. We had an amazing time during our three days there, which was plenty to explore the city while following the mellow pace one must keep when traveling with kids. Did I mention people love children? We often got the best tables at restaurants, waiters went out of their way to entertain our son, people helped us get on and off the subway with the stroller, everyone was super polite! Seoul is, without a doubt, a wonderful destination to visit with children! If your family is looking for something to do outside of the many attractions, museums, and playgrounds of the city, escape to Marne-la-Vallee to be greeted by the Disney family! That’s right, this fabulous city also has a Disneyland Park with two amazing theme parks to choose from! Sing Let it Go with Elsa, climb the castle in Wonderland, and meet Malicifient’s dragon, all less than an hour train ride from Paris city center. Stay for the fireworks at the end! Last but not least, the most iconic attraction in Paris (and arguably the world) is the Eiffel Tower! Climb to the top of the tower for eagle eye views of the city, grab lunch in one of their restaurants, and then come back that evening to watch the entire monument sparkle in the night sky. Paris is simply an adventure with your children not to be missed! – Picked by: Dana Sikand You probably already know that Hawaii is a great choice for a family vacation. 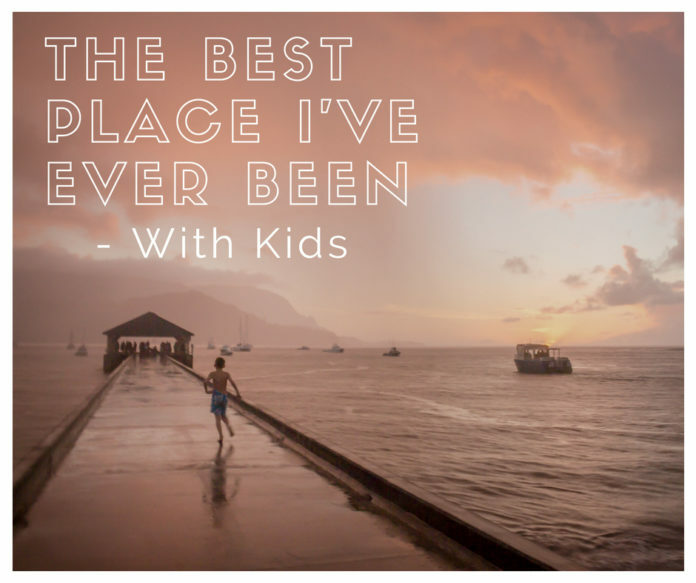 If you head to Oahu’s leeward side you will find a paradise within paradise especially for families traveling with small children. The protected lagoons are not only gorgeous (especially during sunset) but they also allow babies and toddlers to splash around without parents needing to worry about large waves. There are several grassy areas to play on and a wide stroller friendly walkway with breathtaking views. You can stay in one of the oceanfront hotels including Disney’s Aulani (Doesn’t get more kids friendly than Disney). There are so many things to do in Ko’Olina with kids. Tips and Tricks: From hotel pools, gorgeous shorelines, luau’s, boating and snorkeling you can comfortably spend your entire vacation in this walkable little community, but don’t. 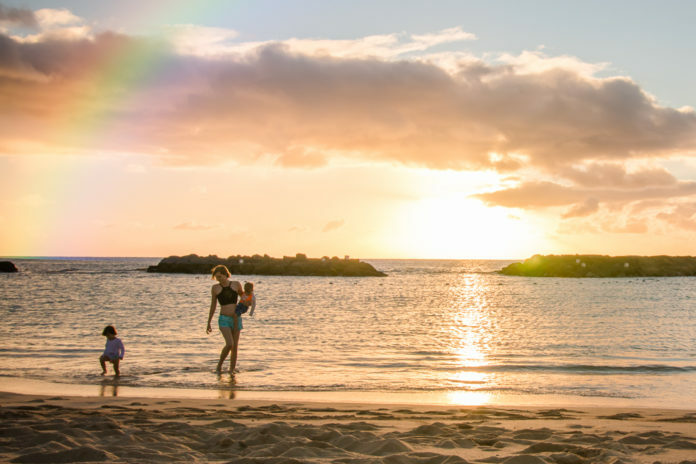 Venture outside of Ko’Olina and check out these 10 Adventures For an Epic Hawaiian Family Vacation (Beyond the beach). There is so much to see and it’s all within driving distance, just be sure to avoid the infamous rush hour traffic. Our family absolutely loves Salzburg, Austria. The city is safe, clean and full of green space. 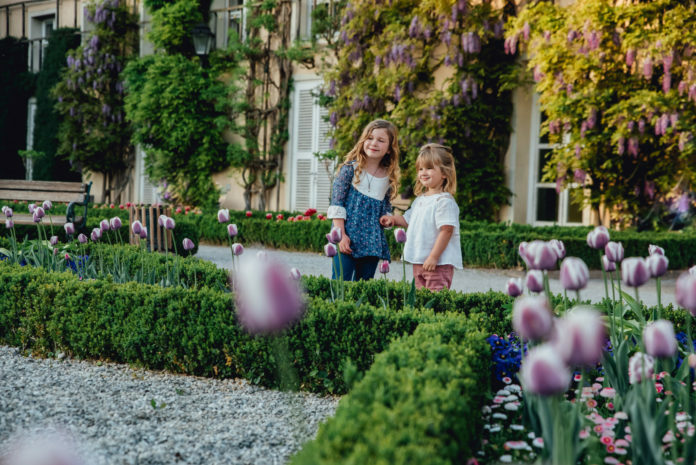 If you are a Sound of Music fan, there are numerous must-see spots that even the kids can enjoy including the “trick fountains” of Hellbrunn Palace, Leopoldskron Palace, and Mirabell gardens. The Hohensalzburg castle, perched on a hill overlooking the city, is something out of a fairy tale. If you have time, make sure to take a quick day trip to Germany for the Berchtesgaden Salt Mine tour. It includes a train ride into the mines, a boat ride on the underground salt lake, and a couple trips down the miners’ slides. It was a favorite for the whole family! My girls loved the food and ate their fair share of schnitzel, spatzle, which I may have told them was mac & cheese, and strudel. Of course, my husband and I enjoyed the wide variety of amazing beer. Tips and Tricks: In my opinion, the best time to visit is during the spring. The blooming flowers make the city even more perfect and Mirabell gardens are breathtaking. Salzburg is fairly stroller friendly, so if traveling with small children, bring your strollers or baby carriers to keep them energized and happy throughout your trip. 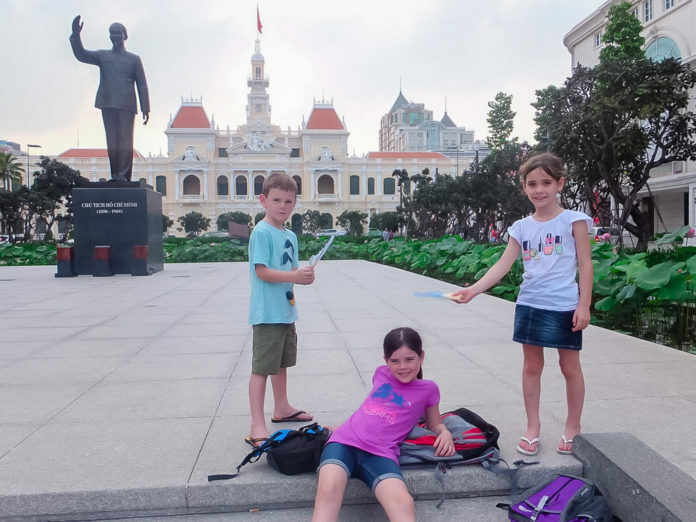 Ho Chi Minh City (HCMC) is one of my favorite places to visit with kids, we visited a few years ago and found so many exciting things to do that the kids loved. Starting at the Ben Thanh Market, we did a walking tour of District 1 using google maps. My husband and I had been there before so we knew the main attractions to show our kids. The walking tour included the Rex Hotel, Saigon Town Hall, Notre Dame Cathedral, Saigon Post Office then around to the Reunification Palace which was the site where the Vietnam War came to its conclusion. There’s footage with VietCon tanks knocking down the gates and American Helicopters still taking off from the rear of the palace. The same tank used to knock down the gates is still in the grounds on display at the Unification Palace. There are a number of activities you can do while in HCMC. Take in a Vietnamese Puppet Show, take a Cyclo Tour on a traditional bike with a local tour guide, do a half day tour to Cu Chi Tunnels where the kids can learn about the tunnel system the VietCon used to defeat the Americana’s during the war or a day trip down to the Mekong Delta to see what life on one of the worlds most powerful rivers is like. I found the War Remnants Museum to be quite confronting on my first visit so chose not to take my kids there this time, maybe then they are older. I haven’t even started on food, Vietnamese food is fresh and unbelievably good so make sure you try everything and get the kids to explore new tastes and flavors. Jeju Island is incredible! This family-friendly beach vacation is set for adventure and relaxation. Our family of 6 loved the island and our stay at Sun and Moon Resort. The new resort is an easy walk to nearby cafes and a short ride from main island attractions. 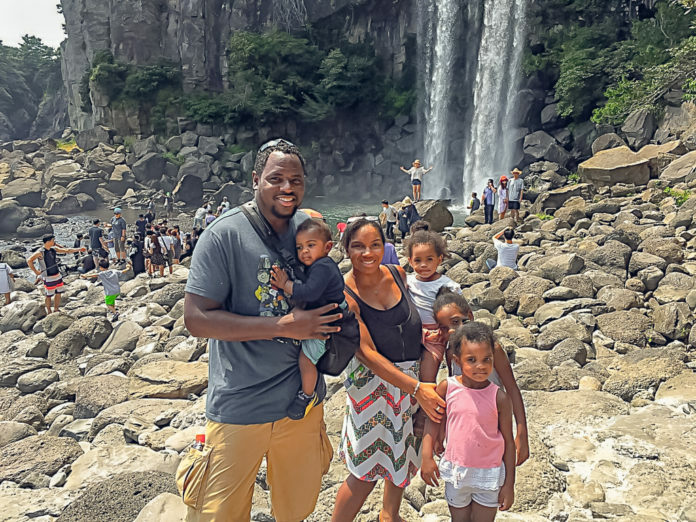 Our favorite activities were visiting Jeongbang waterfalls, learning history while walking up a mountain, scenic horse rides, lady divers, lava stones, and the natural beauty of the island. My kid’s favorite activities were taking a submarine ride, visiting Hello Kitty Island, and of course the food! Other cool activities include a tourist area complete with restaurants, museums, gardens, and aquariums. We enjoyed this more than our Disney trips. Tips and Tricks: The best time to visit online says November through February as it rains less but we went in sunny August with no rain during our weeklong trip. Many people visit Jeju Island on honeymoon, and others like to take weekend trips from nearby Asian countries to enjoy the luxe island. Outside of tourists hotspots, the city is very stroller friendly, but I still recommend a baby carrier for more strenuous activities. We don’t often visit big cities when traveling with kids, but we gladly make an exception for London. What I like about London is that this city has so much to offer for families with children of any age. No matter if you come for a few days or a week, you will never have to worry that you or your kids will get bored. There are so many things to do in London with kids. There are zoos and aquariums, a huge variety of interesting museums, markets, parks and playgrounds, and even toy stores that are an attraction in itself… Older kids will love seeing a musical or visiting the Harry Potter studios, while the younger ones will have the time of their lives at the London Zoo or Kidzania. 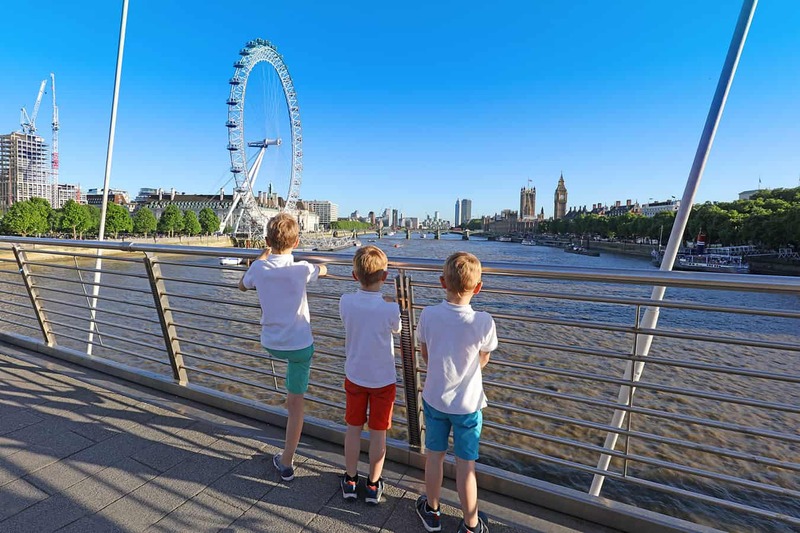 Our kids’ absolute favorites were the ride on the London Eye as well as the London Duck tour in a distinctive yellow amphibious vehicle. We were all impressed with a collection of Royal carriages at the Royal Mews and seeing the Royal Guards is always interesting for kids too. Another memorable and typically British experience is having a family-friendly afternoon tea in a luxury hotel in London. The city has so much diversity, history, and culture that is difficult to find anywhere else. Furthermore, it’s a really family-friendly city to visit (no need to worry about the language, food, infrastructure, etc). London is definitely our family’s favorite city trip with kids. St. Louis, Missouri was one of my favorite places to take my children, and now it is one of my favorite places to take my grandchildren. The Gateway Arch alone make visiting the St. Louis riverfront fascinating for children, but there are so many other places to explore with kids. 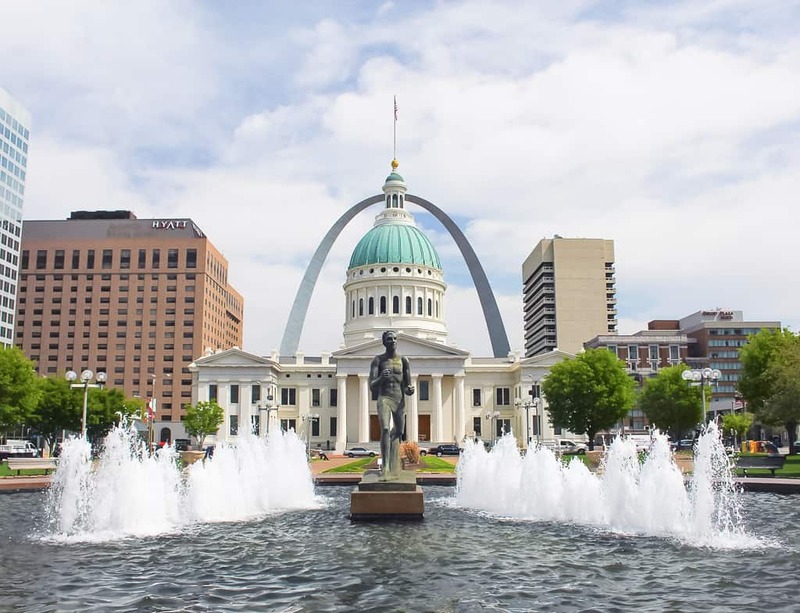 Most people have no idea that St. Louis boasts more free things to do than any other major city in the US, besides the capitol! A tight budget should not mean missing out, and in St. Louis it doesn’t. If money is a concern, start in Forest Park. Every attraction in the park is free. There is an art museum, a history museum, and the Jewel Box Greenhouse, as well as tons of outdoor area. There is also the St. Louis Science Center, with its amazing hands-on exhibits. Don’t miss the St. Louis Zoo, which is among the best in the country. There are dozens of other great family activities for families, but we have two absolute favorites. The Jefferson National Expansion Memorial, where you can go to the top of the Arch, take a Clydesdale drawn carriage ride, ride a steamboat on the mighty Mississippi, or even set up a helicopter excursion over the city. Our other top pick is City Museum, where the highlights include a giant playground called the Monstrosity, and a rooftop cafe. When hunger strikes, I like to head out to the Delmar Loop and eat at Blueberry Hill. The truth is, this place was not planned to be a family restaurant. Nonetheless, children find it utterly intriguing with its display cases filled with hundreds of toys and action figures. 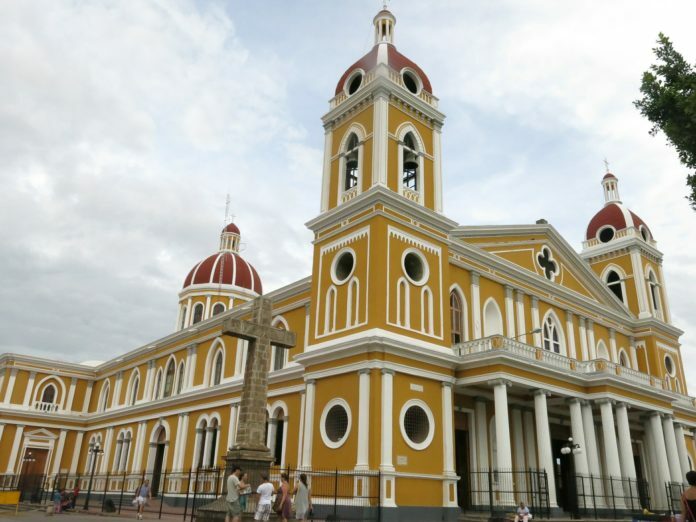 Our family loved visiting the colonial city of Granada. With its colorful streets, fascinating history and proximity to volcanoes and lakes, it is a great place to base yourself. There are so many things to do in Granada. Our kids loved taking a horse and carriage ride tour through the city, which is one of the oldest cities in the Americas. The city has a plethora of churches and you can get some great views of the city and surrounding area from the bell tower of Iglesia de la Merced. In the evenings, the squares and parks come alive with street vendors selling delicious foods and souvenirs. The kids will also appreciate the street performers and musicians on Calle la Calzada, the main tourist street. Within an hour of Granada, you can visit Masaya Volcano, swim in a crater lake at Laguna de Apoyo and go zip lining at Mombacho. Tip and Tricks: Nicaragua can get very hot and humid. Booking a hotel with a pool is affordable and a great way to keep the whole family happy. We always love eating the local food when we travel, but Granada does offer a number of cafes and restaurants that serve kid-friendly Western food for picky eaters. *Special Note: Nicaragua currently has a level 3 advisory to reconsider travel at this time. Always check travel advisories before booking a family vacation. Fast-paced Hong Kong may not be the first city that springs to mind when you think of family-friendly cities around the world. Firstly, it’s hardly buggy friendly, with all its hills, steps and crowds of people, then for several months of the year, it is stifling hot and humid and hardly ideal for sightseeing with kids…But don’t let all this put you off visiting Hong Kong with kids! 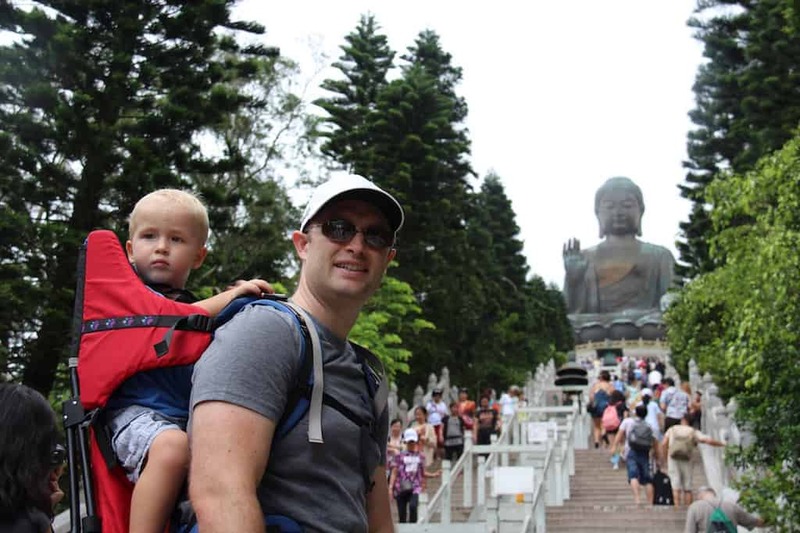 Hong Kong is a culturally fascinating city and is a great fun place to explore with kids. What we really love about Hong Kong as a family destination is that you can mix up the obviously family-friendly attractions such as Hong Kong Disneyland and Ocean Park with more culturally interesting activities, making it a great vacation for everyone. Take the cable car up to visit the Big Buddha, ride the peak tram or the star ferry to admire the views of the city’s stunning skyline, visit the fishing villages on one of the outlying islands or wander around the multitude of street markets. There’s never a dull moment in Hong Kong! Denver, the Mile High city offers lots of fun things to do for little kids and teens. Even though it sits an elevation of a mile above sea level, you will be surprised to find that Denver, Colorado is surprisingly sunny even in the winter and gets approximately 300 days of sun per year – but we think it looks best in summer. There is plenty to do and it’s more than just a gateway to Rocky Mountain getaways – so plan for a few days in Denver when you are headed to Colorado Rocky Mountains next time. There are green spaces, zoos and vintage ice cream shops to keep the little ones entertained while there are plenty of things to do with teenagers as well – mine loved the many art museums and districts, spending time at bookstores and enjoyed shopping at the historic Larimer Square. You can even visit the Denver Mint to see the coin-making process in action and learn the history of U.S. money. 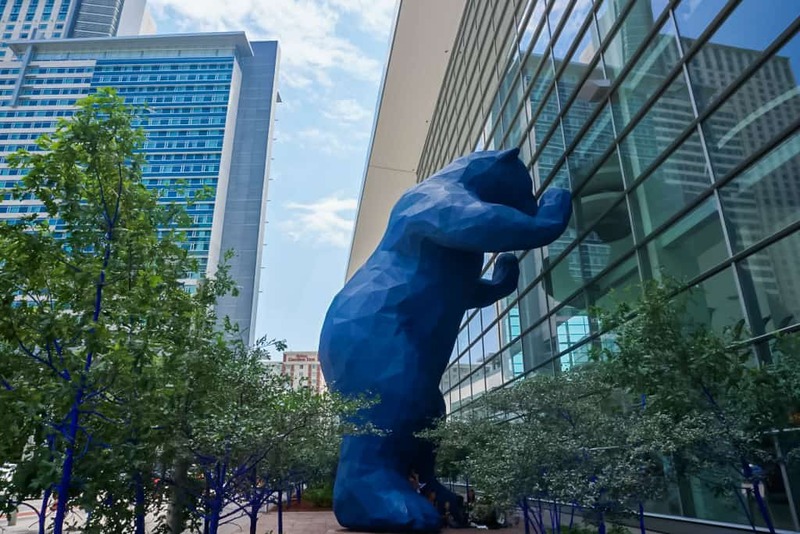 Don’t forget to look for the Blue Bear known as I See What You Mean which has not only become one of the iconic symbols of the Colorado Convention Center, but also an iconic symbol of the city itself. You will find the big blue bear pictured above at the Colorado Convention Center. 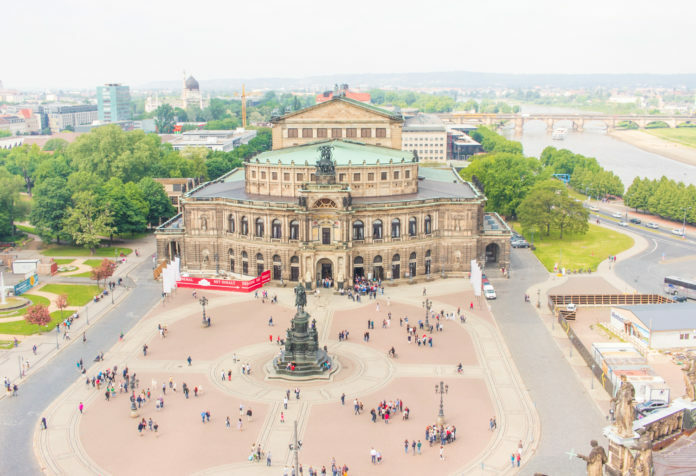 Dresden in Germany is a fabulous destination for a city break with kids. Dresden boasts the highest birth rate in the country and the city is well set up to embrace the influx of children. Two hours to Berlin in one direction and 2 hours to Prague, Czech Republic, in the other, Dresden also makes the perfect midway point for a multi-destination trip. The compact Old Town sits on one side of the river. Despite being heavily bombed during WWII the central city has been carefully restored to its former baroque glory. A city palace and towering sandstone churches are interspersed with wide pedestrian squares and fountains, compulsory to splash in during the long summer days. Across the river, the bohemian New Town has a younger vibe, popular with students and bar hoppers in the evenings, during the day families bike the streets and hang out in the many playgrounds nestled between the buildings. Search out the “Panama” playground which also has a petting zoo on site. Back in the Old Town, there is a lot here to keep kids and the rest of the family entertained. The Transport Museum housed in the old palace stables is full of hands-on exhibitions for children as well as a play road complete with bobby cars and working traffic lights. The Deutsche hygiene museum is jam-packed with interactive displays about the body suitable for all ages. A children’s museum in the same building focuses on the senses with playful activities suitable from baby to teen. You’ll have no trouble finding a restaurant with stroller parking, high chairs, coloring pencils and toys. Nearly every restaurant offers a kid’s menu or will happily adapt the main meal to child-sized portions. Famous for street food and vibrant night markets, Taipei is a dream place to visit with kids. Quickly becoming a hot spot for families visiting Asia, Taipei is a very safe, modern, bustling mega-city of almost 7 million people. The famous Taipei 101 building is one of the tallest in the world! 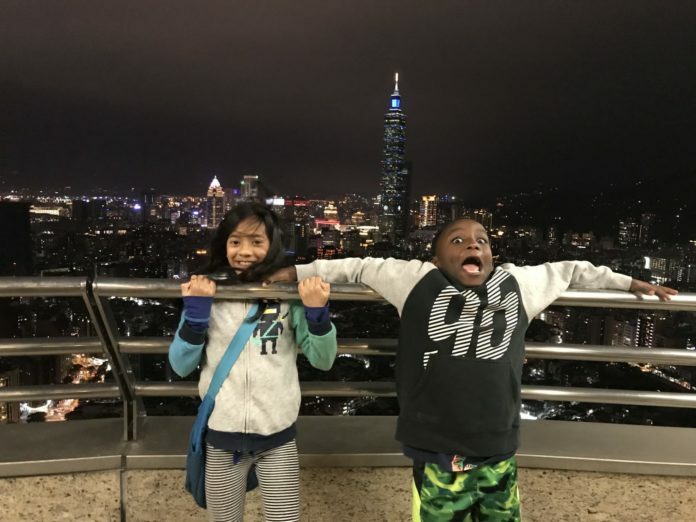 My two kids love going to Taipei to go to the night markets full of games, snacks, bright lights, people-watching and excitement. The outdoor environment and festival-like feel of a night market are very kid-friendly. Going to Daan park is fun for running around and playground time, while walking the shops in Ximending and eating soup dumplings at the world famous Din Tai Fung is a must. Lungshan Temple and National Chiang Kai-shek Memorial Hall are worth a visit to appreciate Taipei’s cultural icons with kids. Day-trip options include a ride on the Maokong Gondola to the mountain-top for a cup of Taiwan tea and an amazing view of the city or a soak in the natural hot springs of Beitou. In February, the famous Pingxi Lantern festival is held outside of Taipei and is magical (reminds me of that scene in Tangled where the sky is lit with floating paper lanterns)! Taipei is one of our favorite places in the world to visit with young kids and tweens because of how safe and vibrant the city feels. Public art and whimsy are everywhere and kids love to take pictures of it all. The metro goes right to the airport and is easy to use throughout the city. As a parent, I also find Taiwan very affordable compared to Japan or Korea. The food scene is fantastic and there is a large range of boutique, budget-friendly, and luxury hotel family-friendly hotel options (for a list of Taipei family-friendly hotels, subscribe to my website). Visit Taipei and discover for yourself why this city tops our list! 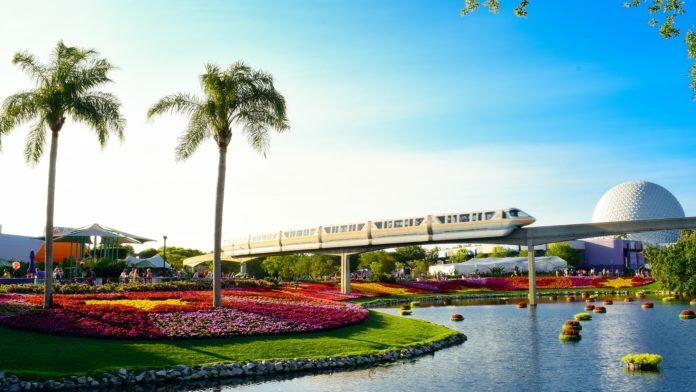 We love the theme parks here in Australia, but for the ultimate theme park holiday, you have to head to Orlando in Florida, U.S.A.. With year-round sunshine and endless kid-friendly attractions, it’s definitely the best place we’ve ever visited with kids. We planned our 10 days in Orlando itinerary well, but this place is so vast that we didn’t have time to see everything. Walt Disney World is made up of four theme parks – Animal Kingdom, Magic Kingdom, Epcot and Hollywood Studios. Orlando is also home to Universal Orlando (containing The Wizarding World of Harry Potter), LEGOLAND, the Kennedy Space Center and much more. There’s something for every age (all attractions are incredibly stroller and wheelchair friendly) Young children adore meeting their favorite Disney characters at Magic Kingdom and riding iconic rides like It’s a Small World. If you visit Animal Kingdom you’ll find that it is more like wandering through a beautiful zoo than a theme park. Once the Harry Potter bug hits around 9 or 10 years old, then the opportunity to wield an interactive wand in Diagon Alley at Universal Orlando is irresistible, and Epcot is particularly popular with teens keen to race a car around Test Track. Legoland is best for kids aged 6-7 since all rides are for kids under 12. The Kennedy Space Center is great for an educational experience! Of course, there is something for every age at every attraction, the difficulty is in fitting it all in! And there’s always something new to tempt you back for another visit like the soon-to-open Toy Story Land at Hollywood Studios. My top tip is to book character meals and fast passes for Disney World as early as possible. Unlike other Disney parks around the world, these can book out months in advance. Bangkok has to be our favorite city to explore with kids. We love the energy, the ornate temples, the colorful markets, the polite people and the food… oh my, THE FOOD! It was a place that my husband and I visited frequently pre-kids and were pleasantly surprised at how accessible the city is for young families when we returned with our boys (who were 1 and 3 years old for their first visit). Many of the restaurants along the bustling tourist strip of Th Khao San even have high-chairs. However, the streets can get rather hectic, so we recommend carrying little ones in a sling or carrier, rather than attempting to negotiate a buggy. For older children who get a little tired of walking in the heat, they will love careering around in a tuk-tuk – hold on tight! The city can be a sensory overload for little ones and can get very hot, so we always ensure some downtime back at the hotel in the afternoons. When walking around, we stop frequently for snacks and drinks and ensure we have at least one trip over to the playground at Lumpini Park. If you’re short on time, check out this one day Bangkok itinerary with young kids. We always recommend Wat Arun over the Grand Palace for a more peaceful temple experience and a ride on a ferry along the Chao Praya river is always a great way to cool down from the heat of the day. Seward, Alaska is an amazing destination for families with kids of all ages. With young kids, the easiest way to get to Seward is to fly into Anchorage and take a rental car down the Seward Highway to Seward. The 120 miles trip goes by in a flash as the water and mountain views are stunning. Once in Seward, there is a smorgasboard of fun activities for children of all ages. During our week-long visit, we kayaked to a glacier, went dog sledding with Mitch Seavey’s personal team of dogs who went on to win the 2017 Iditarod, hiked up a glacier, spent a full day cruising along the Kenai Fjords, and even went kayaking in Resurrection Bay where we found ourselves surrounded by a pod of ball porpoises. In our “off time,” we explored the Alaska Sea Life Center, where we hand fed puffins, enjoyed brews at the Seward Brewery, and just plain relaxed as we took in the sights. 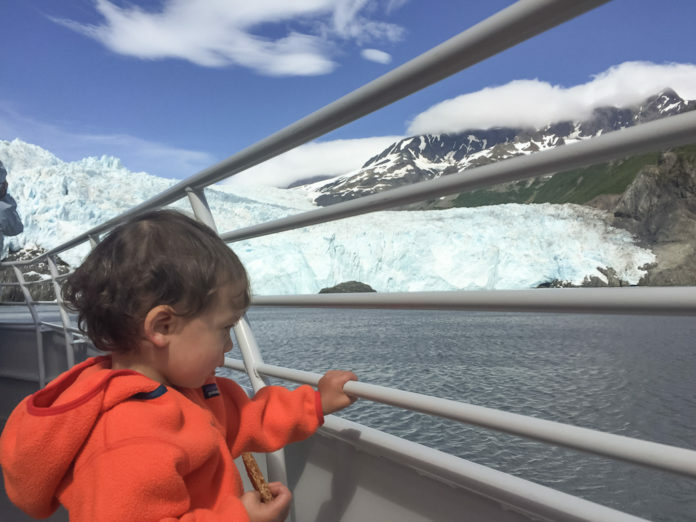 The best part of our time in Seward was that the abundance of activities made it possible to accommodate both our 6-year-old as well as our 18-month-old. We took long walks along the boardwalk, visited really great public parks, and dined of fresh Alaska salmon and king crab just about every night. There are so many places to explore in Alaska. Seward is definitely one of our top family destinations and we highly recommend it to everyone! This is a lovely list of amazing places to visit! 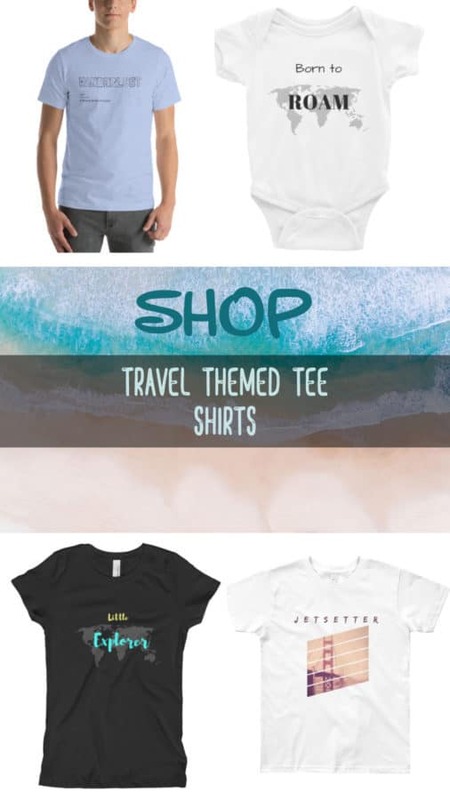 I was happy to be featured, thank you so much for collating all these amazing suggestions! It really did come together so nicely! Sharing and pinning!